Teaching STEM: Can the Average Student Learn to Love Math? Professor Boaler has written a new book entitled Mathematical Mindsets, in which she “describes how society has traditionally valued one type of math learner — one who can memorize well and calculate fast — as opposed to others who have the same potential but may be deeper, slower and more creative. The book offers research evidence and resources for teachers and parents to help children learn math well, in the classroom and at home.” Boaler told Parker, “Students from early ages realize that math is quite different than other subjects, and that it depends heavily on taking tests and answering uninteresting questions.” I’m bored just thinking about it. If you want to see how Boaler makes math fun (with some help from a Taylor Swift tune), watch the following video. For the so-called mathematically challenged, the world of math can be a scary place; but, a project-based approach can make the world a lot less scary — in fact, it can make it enjoyable. That’s why I, along with a few colleagues, founded The Project for STEM Competitiveness — to help get a project-based, problem-solving approach into schools near where we live. 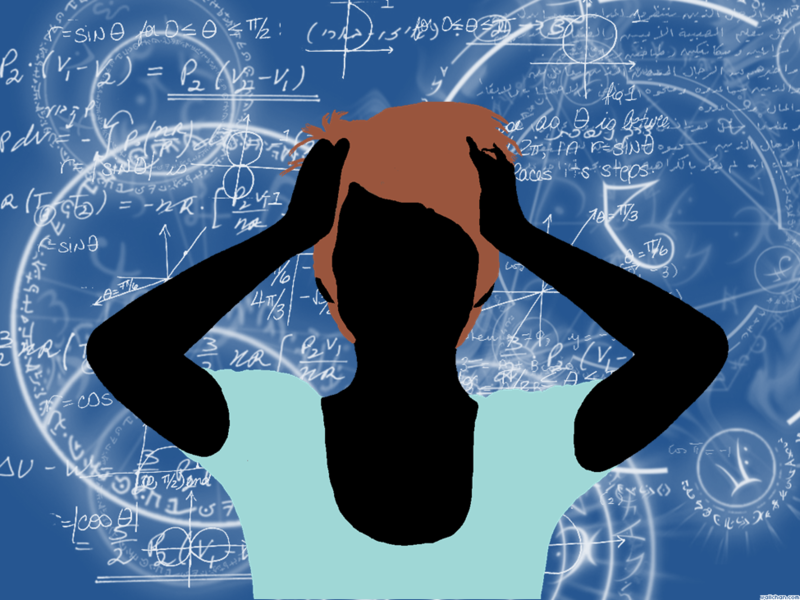 If you or your child suffers from math anxiety, you might want to try some of the techniques suggested above. You might find out you’re not as anxious as you thought you were. Charlotte Alter, “Dad’s Rant About Common Core Math Problem Goes Viral,” Time, 26 March 2014. Dyani Sabin, “Solve math anxiety before bed,” Scienceline, 18 December 2015. Clifton B. Parker, “Research shows how children can enjoy and succeed in math, Stanford expert says,” Stanford News, 17 December 2015. Michael Gorman, “PBL Meets STEM: Delicious Main Course of Resources and Ideas,” 21st Century Educational Technology and Learning, 27 June 2012. Sol Garfunkel and David Mumford, “How to Fix Our Math Education,” New York Times, 25 August 2011.